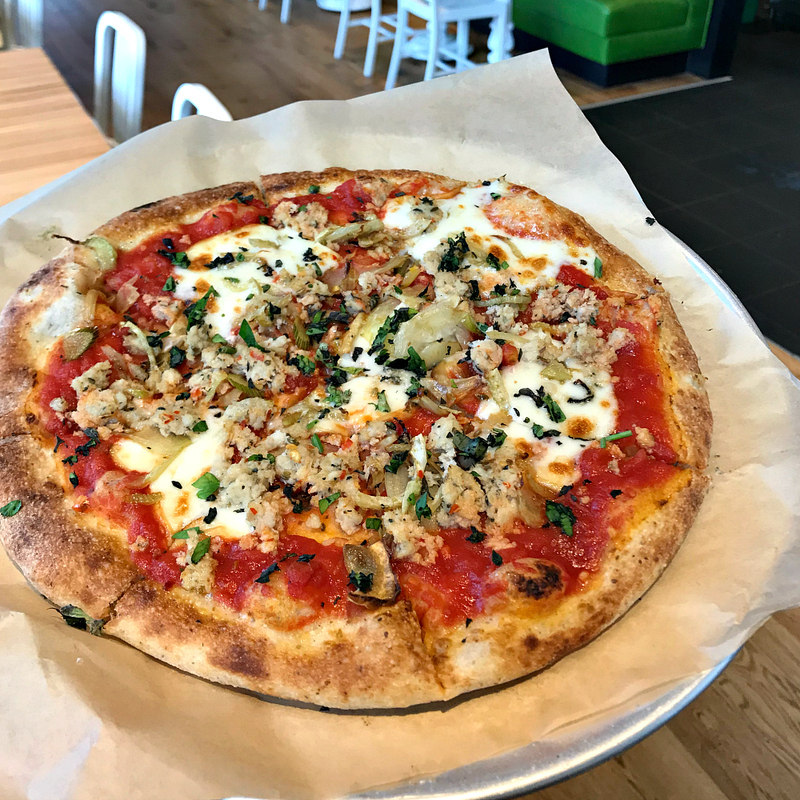 Restaurants are opening and closing in Nashville faster than anyone can keep up. It’s overwhelming, and I find myself just wanting to go back to my favorite places. 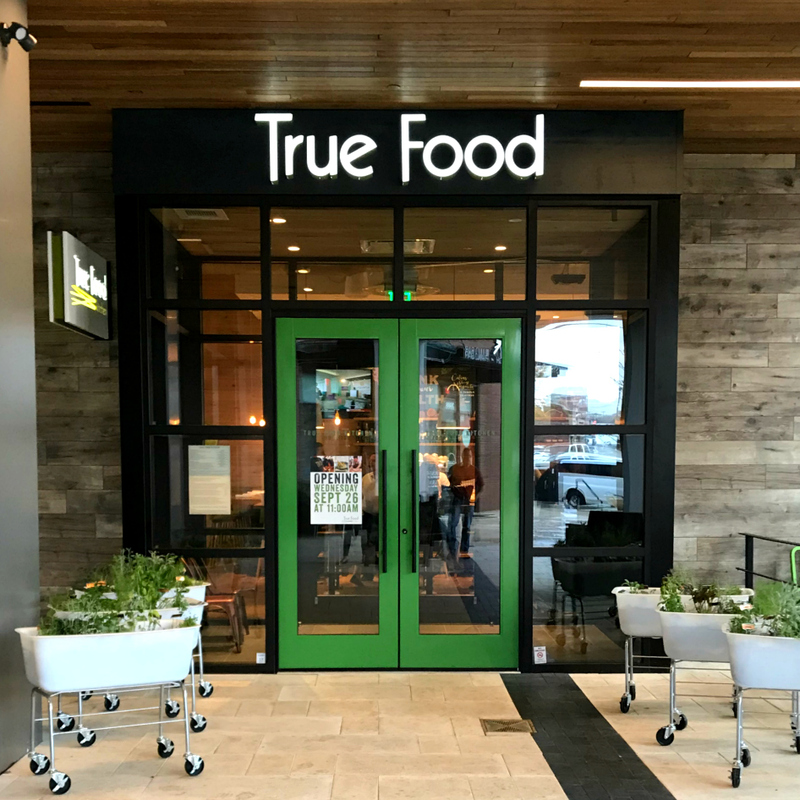 True Food Kitchen in Green Hills is one of them. 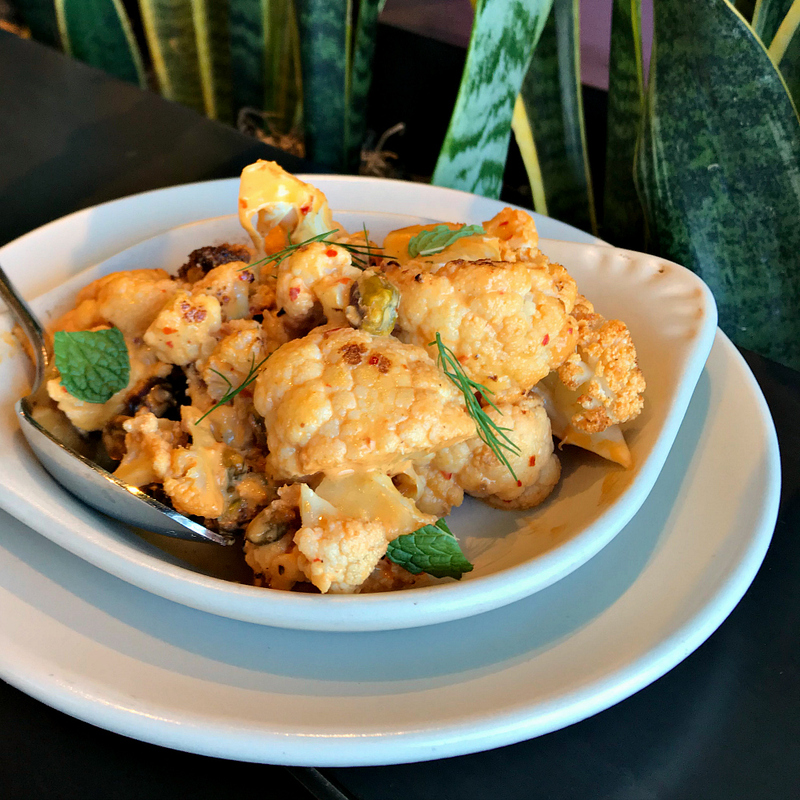 True Food Kitchen is a full-service, health-focused restaurant and bar. Their philosophy is that food should make you feel better, not worse, and it couldn’t be more accurate. I’m obsessed! 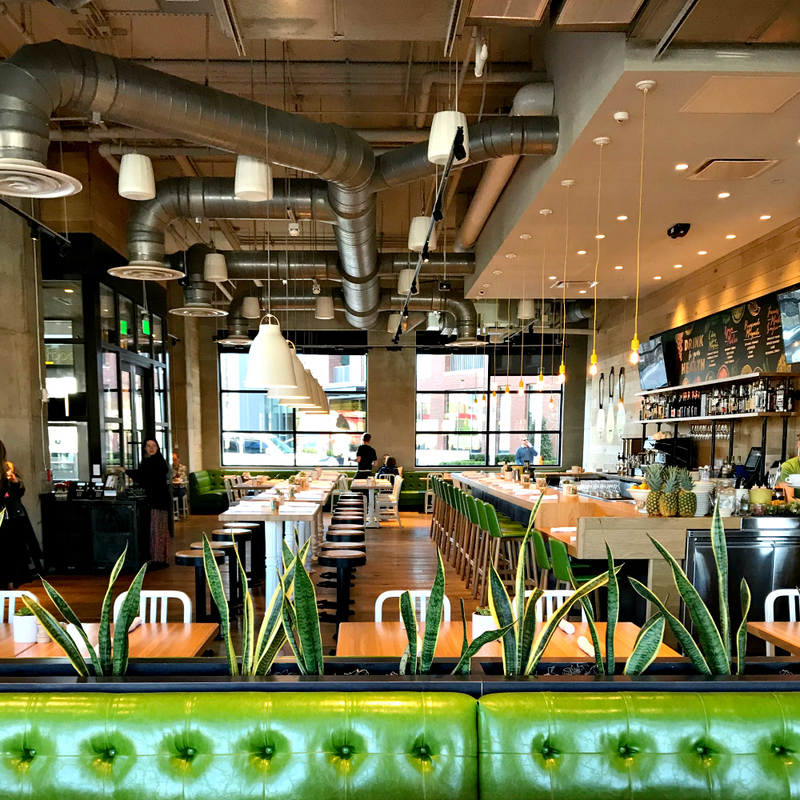 As you walk up, you’ll see huge basins of fresh herbs growing for the kitchen and an outside patio with ample seating. The interior is bright, colorful, and comfortable, and the service is some of the best in town. The servers are friendly, knowledgable and competent. They’re highly trained, know the menu, and can answer all your questions. They’ve never steered me wrong. 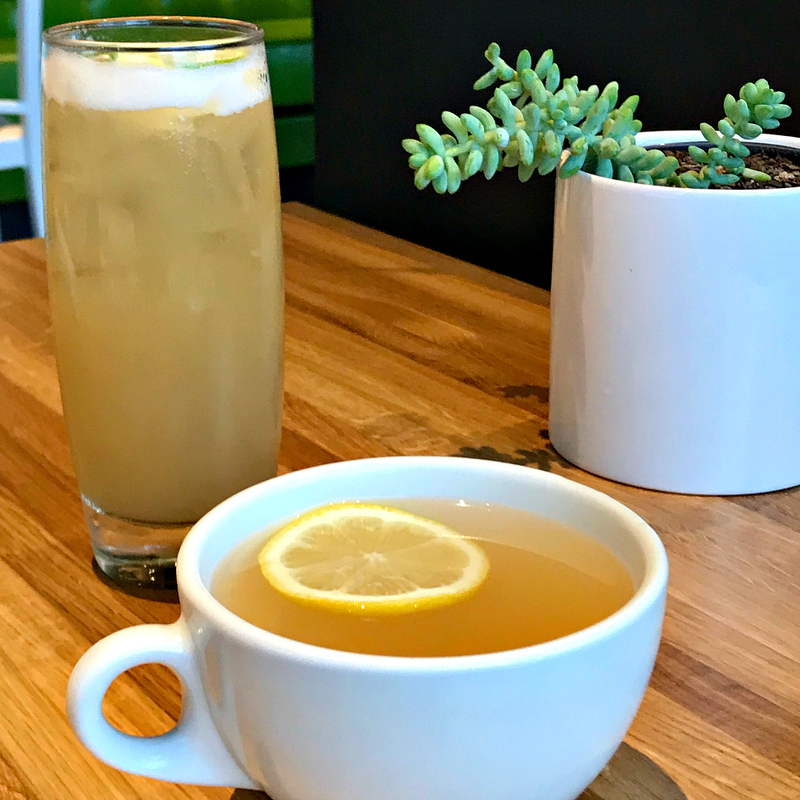 The restaurant chain is committed to being “green”, utilizing high-efficiency kitchen equipment, menus printed on recycled paper, and the use of recycled materials throughout the restaurant. 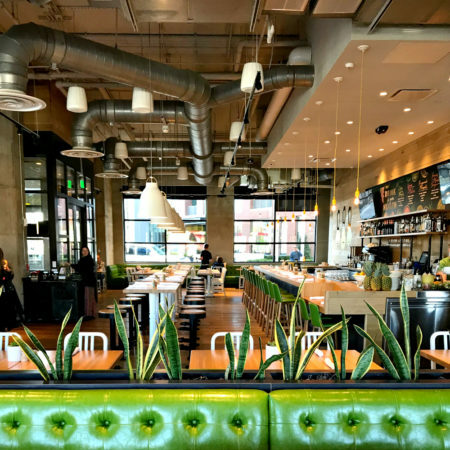 The chairs are made from recycled soda bottles, and the floors are reclaimed wood! Dr. Andrew Weil helped design the menu, which focuses on fresh, seasonal, anti-inflammatory foods. He continues to play a significant role in developing the menu and ingredient lists. If you follow a low carb, vegan, vegetarian, or gluten-free lifestyle, they’ve got you covered! I don’t count calories, but I appreciate that they list calorie counts right on the menu, and full nutritional information is posted online. 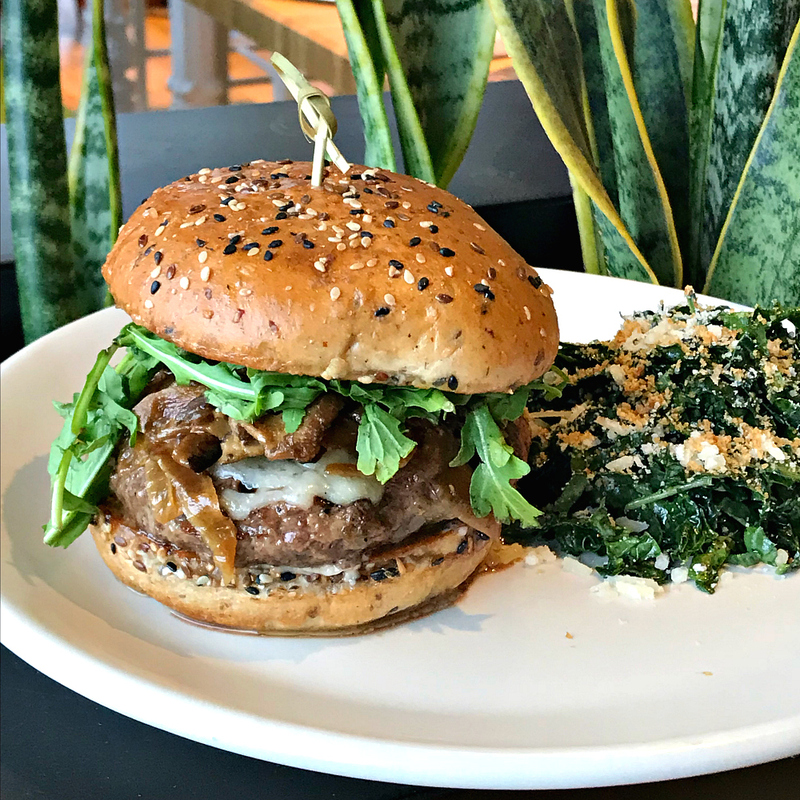 The food at True Food Kitchen is organic, made from scratch, and locally-sourced when available. The menu changes seasonally, which keeps things exciting for regulars like me. 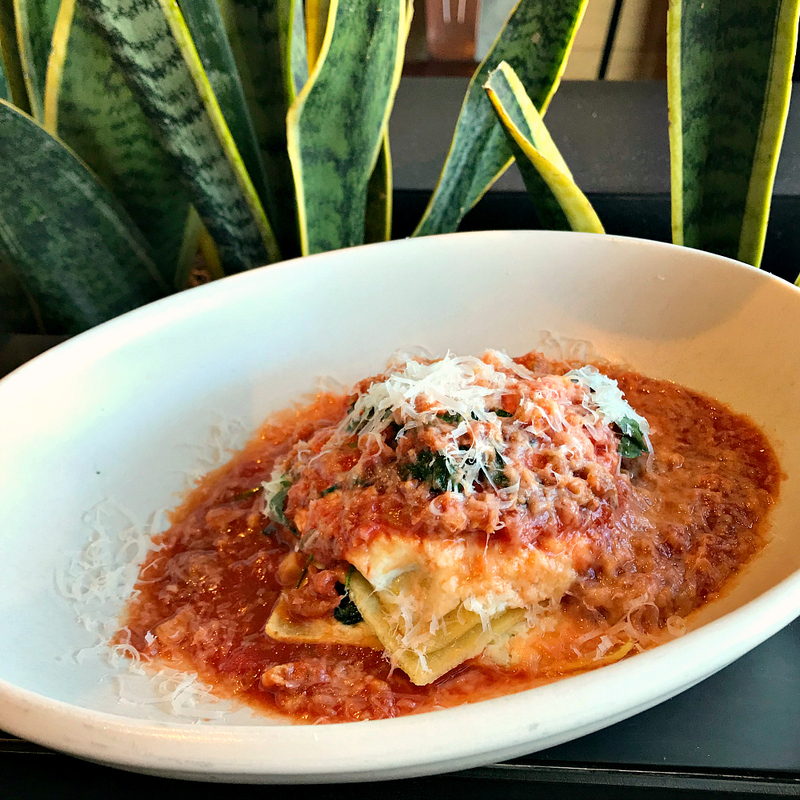 Recently, I had lunch with friends and ordered the Lasagna Bolognese. Lasagna for lunch isn’t my norm, but it was chilly and rainy that day, and I felt like comfort food. It was insanely delicious, and I ate every last bite. About two hours later, it dawned on me how great I felt! I wasn’t bloated, didn’t have “pasta gut”, and I was full of energy – not how I’d expect to feel after filling up lasagna before noon. I had no idea this was made with gluten-free pasta, and that’s saying a LOT. I’m Italian and know my pasta. It was cooked perfectly al dente and delicious. This might just be my favorite dish yet. It’s full of flavor and hearty, but still fresh and light at the same time. The Food Company is another local favorite! The menu is impressive, offering appetizers, entrees, desserts, fresh juices, lattes, and even hand-crafted cocktails from a full-service bar. 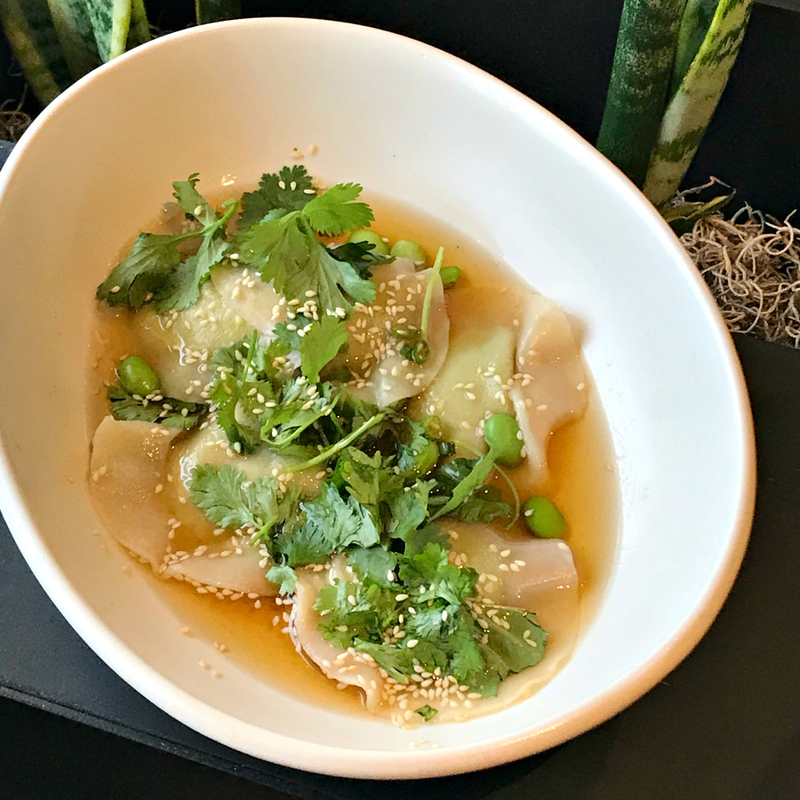 From edamame dumplings to the most delicious grass-fed burger, there’s something for everyone! There’s a reason they’re busy every. single. day. 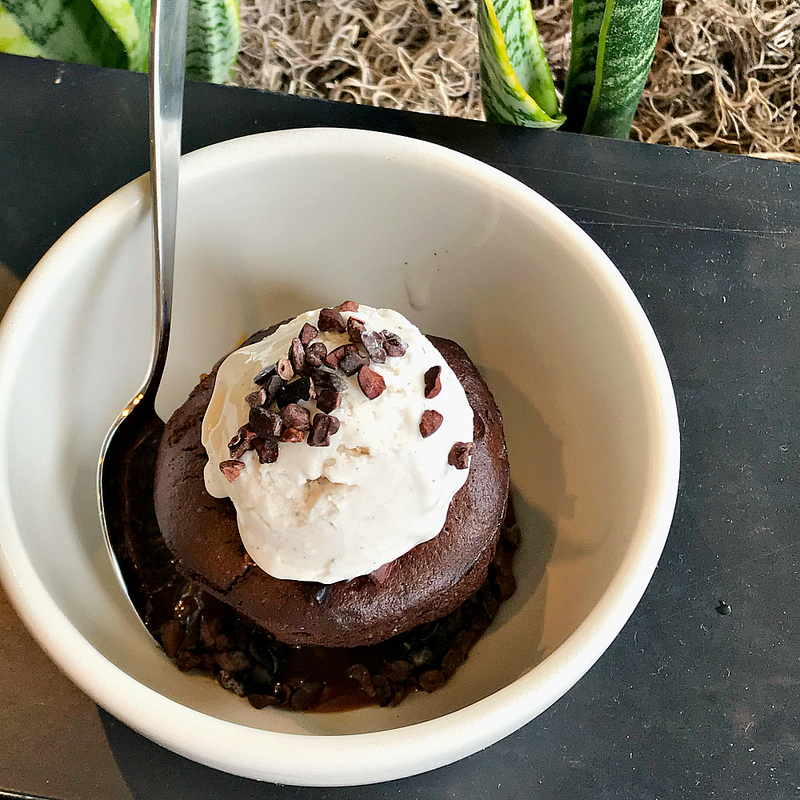 I dare anyone to dine at True Food Kitchen and still say healthy food is boring! Hours: Open seven days a week from for breakfast, lunch, and dinner. Brunch is served Saturday and Sunday from 10 am to 4 pm.